The surprise of the Chrysanthemum cocktail is the nose. Its creators surely weren’t trying to duplicate the chrysanthemum scent, but that combination of vermouth, Bénédictine and anise is redolent of gardeny lushness. The drink itself is very pleasantly balanced—it’s often been noted that the blend isn’t anywhere near as sweet as you’d expect from the ingredients; it is a light-flavored, richly layered, low-alcohol aperitif. Stir with ice and strain into a chilled, Herbsaint-washed cocktail glass. Express orange garnish. The amount of absinthe or Herbsaint is a personal preference; my anise tolerance is limited, and I prefer to add it as a wash, Sazerac style, rather than adding the larger portions I’ve seen in other listings. I have heard that Lillet Blanc is a great substitute for the vermouth in the Chrysanthemum, though I haven’t tried it yet. 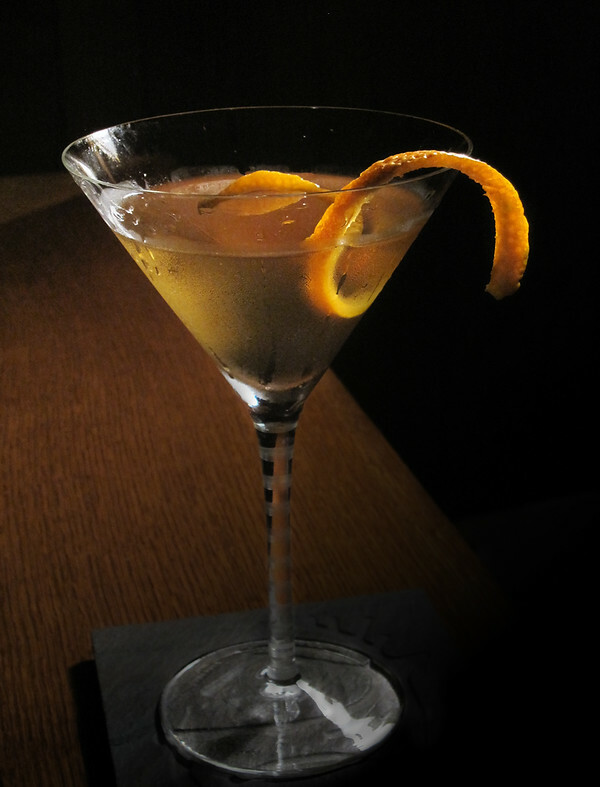 I believe the claim, though; I’ve often used Lillet interchangeably with vermouth, most notably in Martinis, once even in a perfect Manhattan, and never with a bad result. But back to the name: how did Chrysanthemum get that name? “Chrysanthemum Cocktail” at cold-glass.com : All text and photos © 2009 Douglas M. Ford. All rights reserved. Its floral notes and color do remind me of chrysanthemum tea. I like it! Good excuse to get a second bottle of dry vermouth… before I discovered this site I just assumed you should buy the best you could, and didn’t think about matching them to differ drinks. Many thanks. Congratulations, not everyone catches on to those flavor differences. Have fun with that!